Female Genital Mutilation (FGM) comprises all procedures involving partial or total removal of the external female genitalia. FGM is one of the causes of obstetric fistula and urethral damage because procedures used in the practice especially among girls and women having their first deliveries from some East Africa’s rural communities where we work. – ICOD Action Network has enrolled 1070 girls and women into our reproductive health program. We want to reachout and support as many we can. – With over 1000 recorded cases and hundreds more unrecorded, we’re putting every effort and resources to try and bring down the number. Contributing to this project is an opportunity for contributors to positively aid in the mitigation of one of the greatest challenges of the 21st century, FEMALE GENITAL MUTILATION.The total end of Female genital Mutilation means that millions of women will be able to live healthier and productive lives. Your donation will help patients who would otherwise not have gotten this life saving surgery to live healthier, and rebuild their lives. All girls and women have rights to health, security and physical integrity, the right to be free from torture, inhuman treatment, and the right to life. When you contribute to our project, you helping women achieve all. International Women’s day 2015 is here. One day that brings us together to make it happen for millions of women worldwide. Isn’t it amazing that millions of people come together every March 8 to transform lives of women girls worldwide? At ICOD Action Network, we have been building strong grassroots networks to promote women’s reproductive health, eradicate Female Genital Mutilation (FGM) and obstetric fistula. This March 08, we want to strengthen our maternal health responses and support women with obstetric fistula from some of East Africa’s remotest communities get collective surgery. We believe all girls and women have rights to health, security and physical integrity, the right to be free from torture, inhuman treatment, and the right to life. By eradicating Female Genital Mutilation and treating related health complications like fistula, we are helping women achieve all this. In East Africa, Female Genital Mutilation is one of the causes of obstetric fistula and urethral damage because procedures used in the practice. It is carried out by cutters with no medical backgrounds who use one knife on several girls and women. Above 80% of FGM victims here develop fistula and urethral damage overtime. The injury leaves women with few opportunities to earn a living, and many have to rely on others to survive. The stigma associated with the condition keeps many women hidden away while some go into deep physical and emotional decline and may resort to suicide. 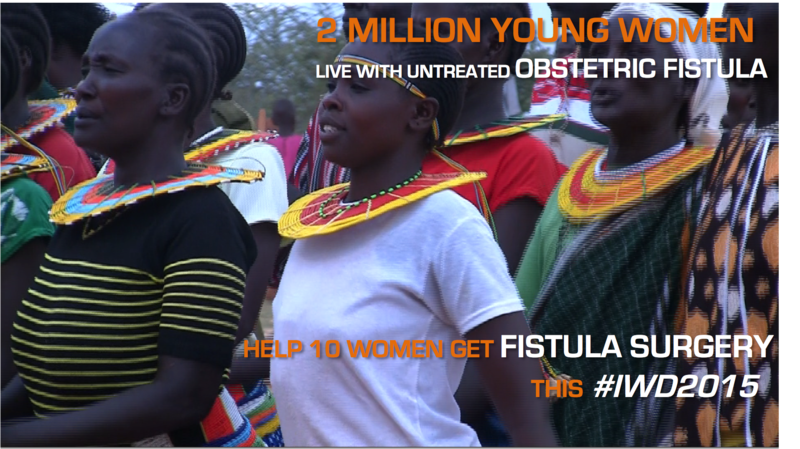 Obstetric fistula still exists because health care systems have failed to provide accessible, quality maternal health care, including family planning, skilled care at birth, basic and comprehensive emergency obstetric care, and affordable treatment of fistula. That is why we have put the best of our efforts to eradicate fistula. I think we need use the day to inspire more men to actively take part in women rights and reproductive health issues. I have been to some of our regions most remote communities working on eradicating Female Genital Mutilation and I have seen how important it is to bring men onboard if we have to get anywhere in eradicating FGM since they ‘key’ decision makers in their communities. For example, there are several male leaders who openly support FGM and help perpetuators escape prosecution. Don’t you think we would achieve a lot if we educate people these on how horrible the practice is and encourage them to join efforts to end it? Hey! If you are reading this and you are man, come on now. I am a man and I am doing this. You’ all need to join. What affects women, affects humanity and we all need to take action now. We must take action now; Today! Taking joint actions is what makes 8 March an important day. As we celebrate our achievements, and remind ourselves how far we have to go, we need to build sustainable collaborations in order to make lasting change in lives of women around the world. At ICOD Action Network, we have been running a campaign to help 10 women with obstetric fistula get collective surgery. Our campaign hasn’t been doing well but I am hopeful we can turn it around this weekend and provide life-saving surgery to those who need it most. We are a Uganda based nonprofit founded in March 2008. ICOD Action Network’s work extends beyond material support and touches upon the need to empower communities so that they can be able to sustain themselves. We believe that local driven interventions and innovations are the foundation of sustainable community transformation. Our core values at ICOD Action Network are deeply rooted in sustainability, human rights, justice, inclusiveness and participation, commitment, accountability and transparency. If you are considering to make your last-minute charitable donations this holiday season, we hope you will consider giving a gift to TechFarmers; our unique project that improves rural farmers and school children’s access to free training in Information Technology and sustainable food production. By supporting our work, you become part of the movement for a more just, sustainable, and healthy community. P.S. With your gift, you support a small organization with a big reach. If you have any questions, please contact our National Office at nationaloffice@icodactionnetwork.orgor call us at +256 792 165 208 We greatly appreciate your donation! About 140 million girls and women worldwide are currently living with the consequences of Female Genital Mutilation (FGM). More than 125 million girls and women alive today have been cut in the 29 countries in Africa and the Middle East where FGM is concentrated. Help us get the word out to the world; share the link with a couple of friends and encourage them to support our work to end Female Genital Mutilation. The following is a statement from Michael Ahabwe Mugerwa, Founder and Executive Director of the ICOD Action Network. 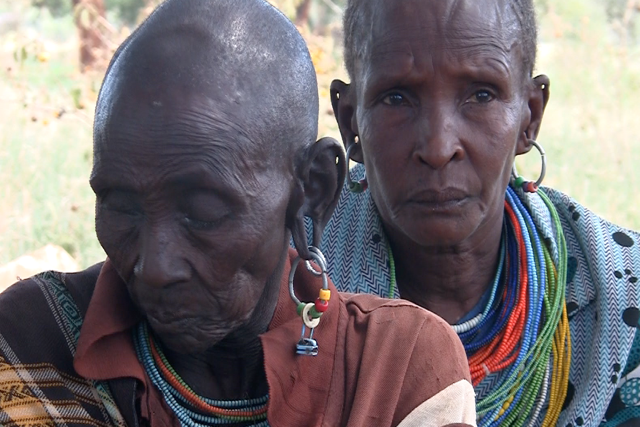 BAREFOOT GRANNIES; GRANNIES LEAD EFFORTS TO END FEMALE GENITAL MUTILATION AND PROMOTE REPRODUCTIVE HEALTH IN THEIR COMMUNITIES. Our story begins in 1948. That year, world leaders met at the United Nations to adopt a Universal Declaration of Human rights. They adopted a set of basic rights to protect human life and dignity. Among these was Article 25 – the right to a standard of living adequate for one’s “health and well-being”. It stated, among other things, that all people had the right to “medical care and necessary social services”. Overtime, the right because known simply as Article 25 – the right to health. Today, more than 20 million people die each year due to inequalities in global health. More tan 150 million people face unaffordable health care costs each year. And more than 100 million people each year are plunged into poverty. It’s no longer enough for any one group or country to take action. What we face is a global crisis that needs a global movement to fix it. That’s is what we are doing in Uganda, we want you to join our Barefoot Grannies Movement. We have only 19 hours left for our campaign to end Female Genital Mutilation. We wouldn’t have got here without your support and contributions. Thank you so much! Thank you for supporting my work to end Female Genital Mutilation in East Africa and supporting my campaign to film and produce ‘Chasing the Cut’, a documentary film about Female Genital Mutilation. I just added a new gift, button badge that you can attach to your lapel to show support for victims of Female Genital Mutilation. I am very excited about this badge!